Okay, I get it. Google is a buzzword these days. “Where’re my socks?” Google it. “Where’s my lunch?” Google it. Well, those are some pretty bad examples, we admit. But, let’s just say that the term Google is used ubiquitously nowadays, and almost synonymously as ‘searching for any information online’. No big deal, but our question is, does anybody really know how to Google it? Unfortunately, they don’t, we daresay. No, typing your question into that search box ain’t enough! 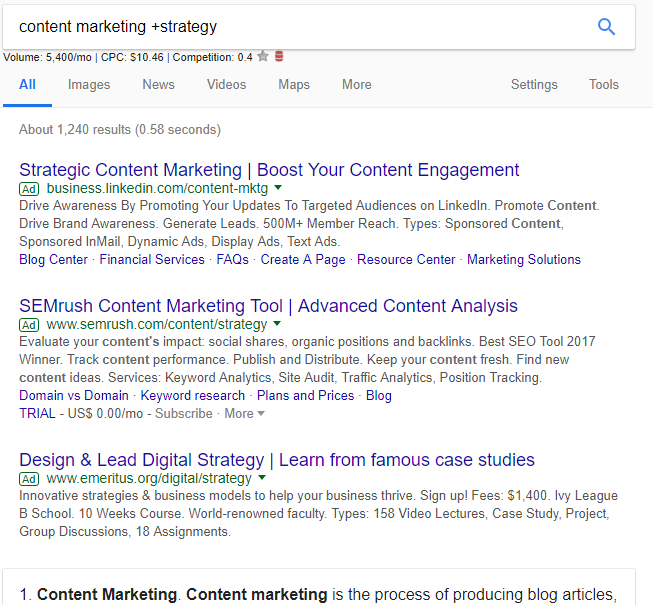 Google-ing can be far more powerful, if only you knew how to do it right. And in this article, we are going to show you how to do that. Let’s get on to it now. This is easy and this is what you probably use all the time. All you do is take the phrase and enter it into the search box. That’s it. 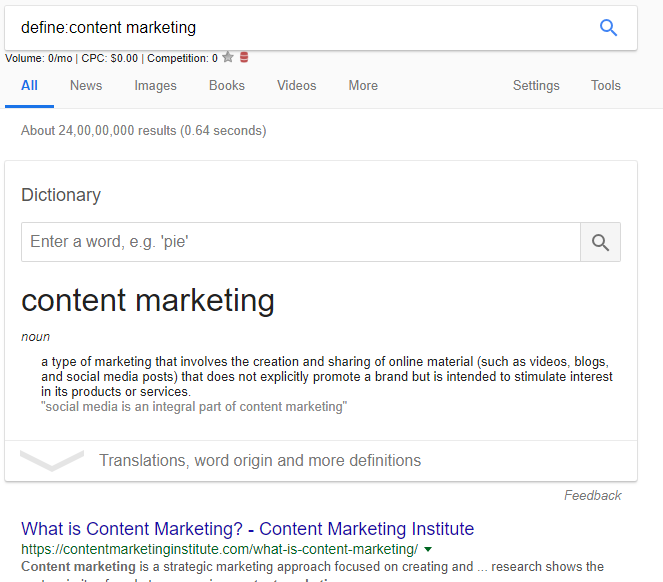 Same as above, but in this case, you would use quotes around your search queries to fetch only those results that have the complete query with the specific word order you want. Look at this. 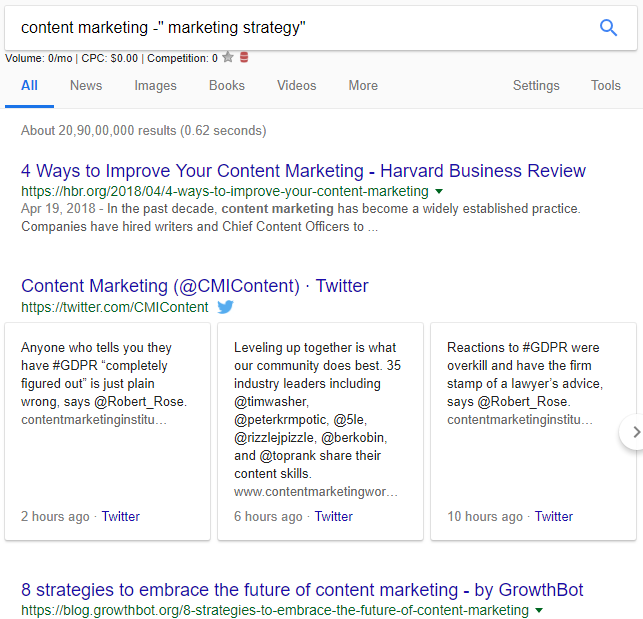 Each result contains ‘content marketing’ as the keyword. 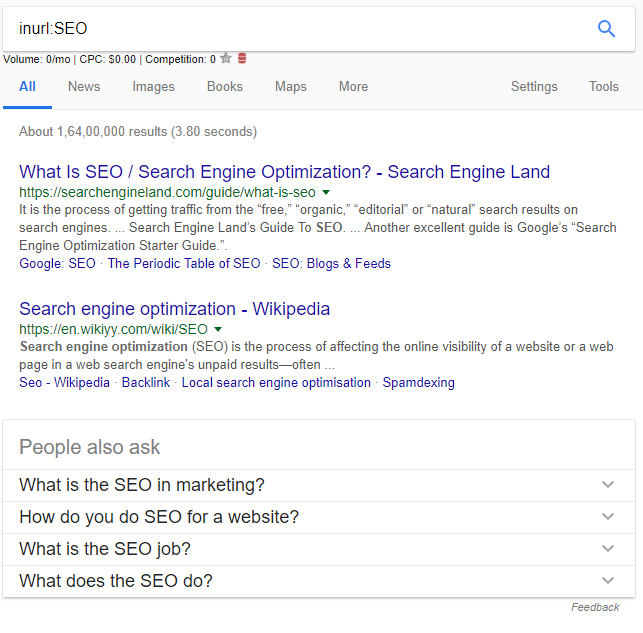 Let’s say, you want to search for a topic but do not want to include certain words in the results. Simple — you exclude them with a minus sign. You can exclude complete phrases by using quotes around the phrase. 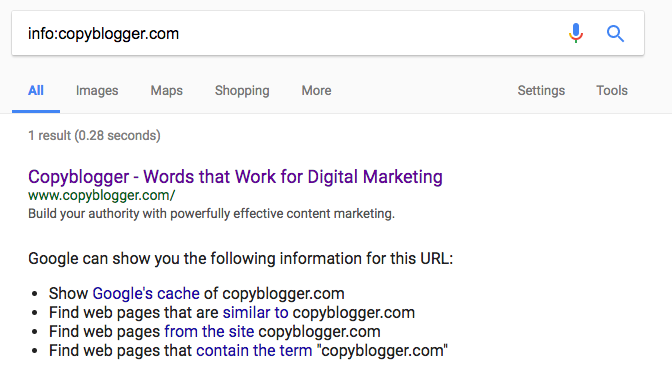 You can exclude multiple keywords like below. Slightly a modification of the above. Instead of the minus sign, use the plus sign instead. You can again include phrases or multiple keywords like above, replacing the minus sign with the plus sign. You can use [OR] or the pipe character [|] to find alternate results with more than one keyword choices. Ever used a ‘joker’ in a card game before? You know wildcards then. Use the asterisk character [*] to search for every extension related to a keyword. 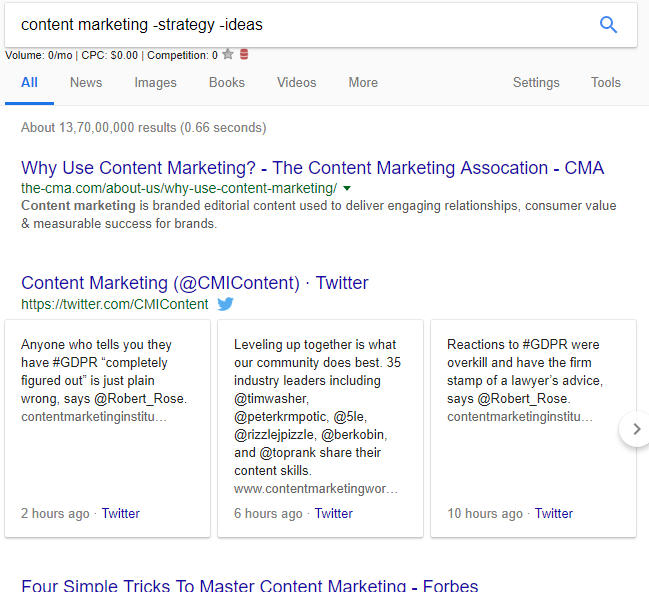 For example, if you use ‘content *’, you get ‘content strategy’, ‘content marketing’, ‘content ideas’, etc. We know that when the target keywords are close to each other, they can help in SEO results. 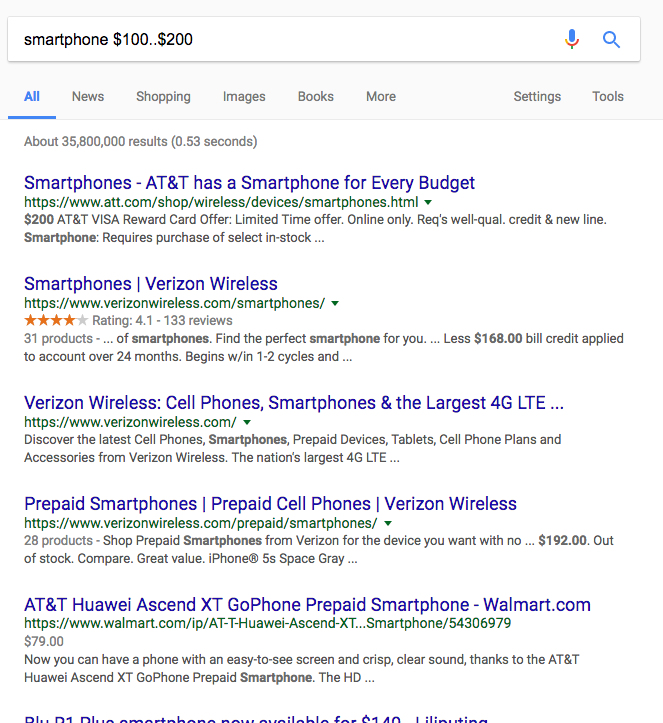 So, want to specific the distance between two words in your search results? You would use AROUND[X] where ‘x’ stands for the number of words between them. Use the tilde sign [~] to include the synonyms of the keywords you entered. For example, you would get search results containing the word ‘décor’ instead of ‘decorations’ below. 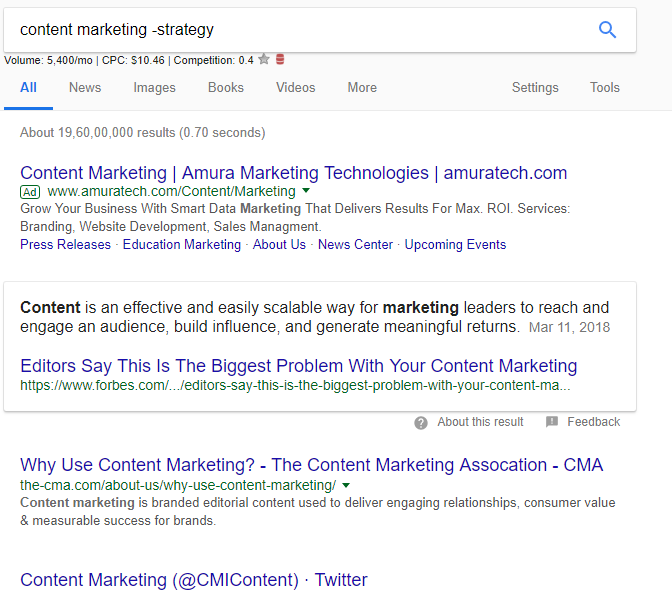 If you want to search results from a specific site, use ‘site:’ search operator. 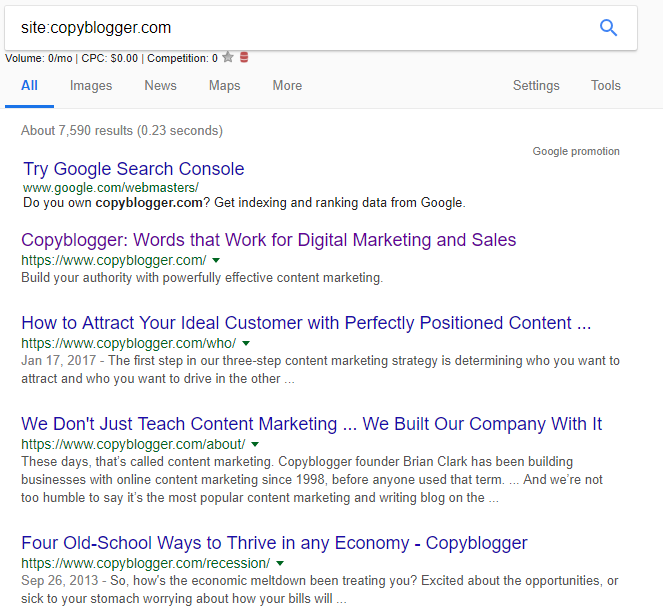 In the example below, you can search for every page of copyblogger.com. 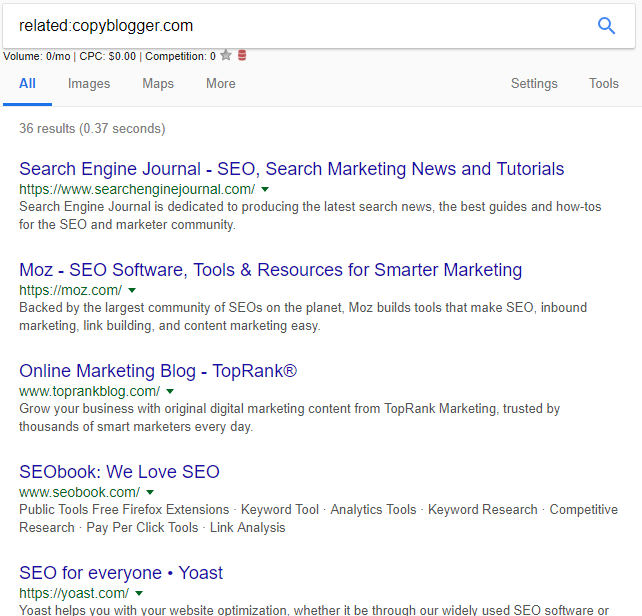 Want to search for sites that are related another site you know? Use the ‘related:’ operator. Sometimes, you might want to get further info on a particular site like ‘cache’, ‘similar pages’, etc. 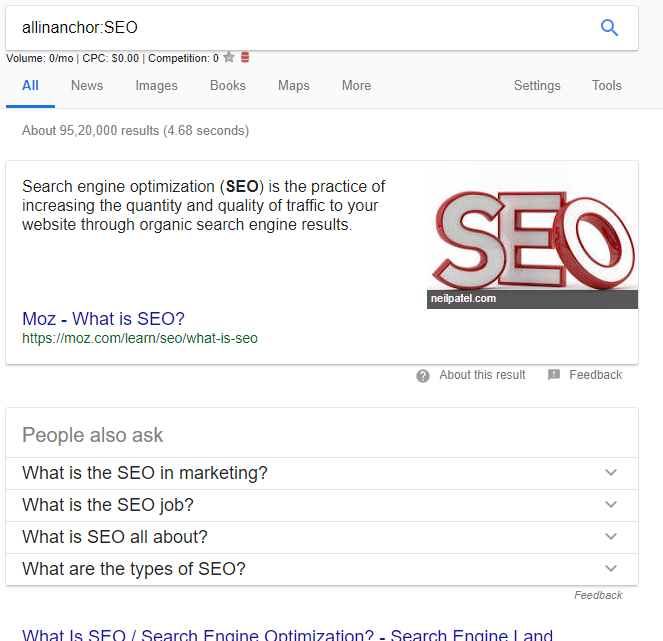 In this case, you might want to use a specific search operator, [info:], before the site. If you didn’t know before, here’s an interesting fact. 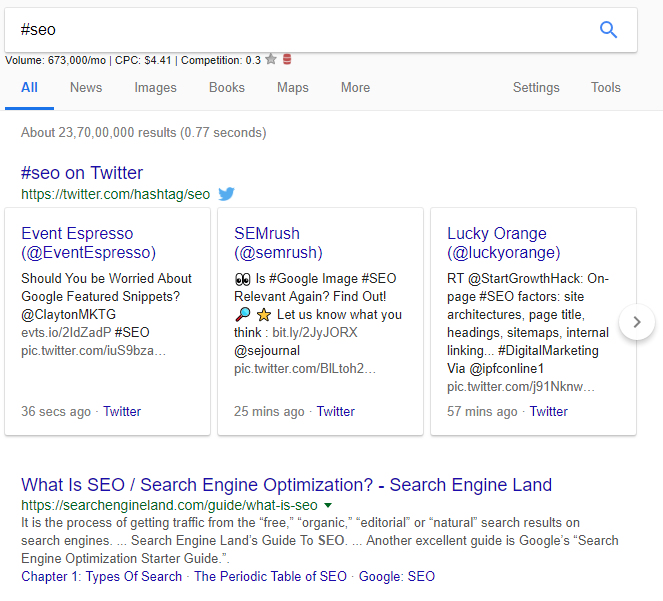 Google does not only rank on social signals but can fetch social signals as well. All you have to do is use the hash tag before the keyword. Doing a product search within a price range? It’s easy. Use [..] between the two numbers (or prices, whatever). Google will bring the products within that range. 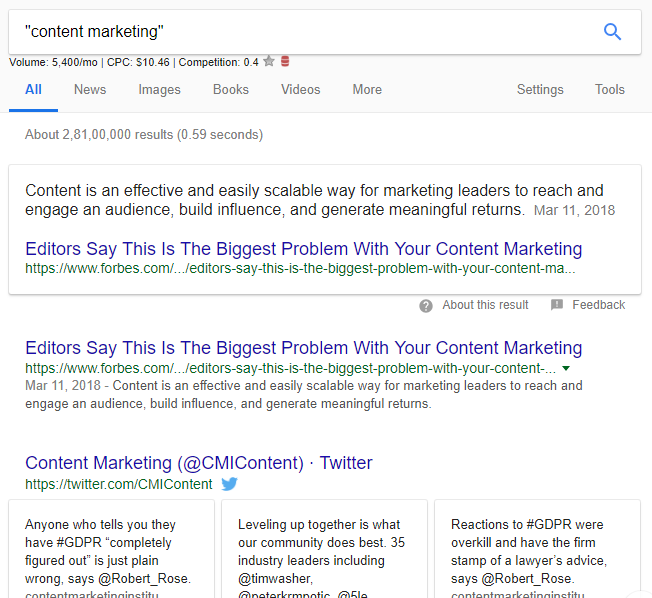 Google gives you the ability to search for results within particular dates using the [daterange:] operator. However, there is a catch. You have to use Julian dates instead of Gregorian ones. Here’s a cool resource where you can convert the Gregorian dates to Julian dates. 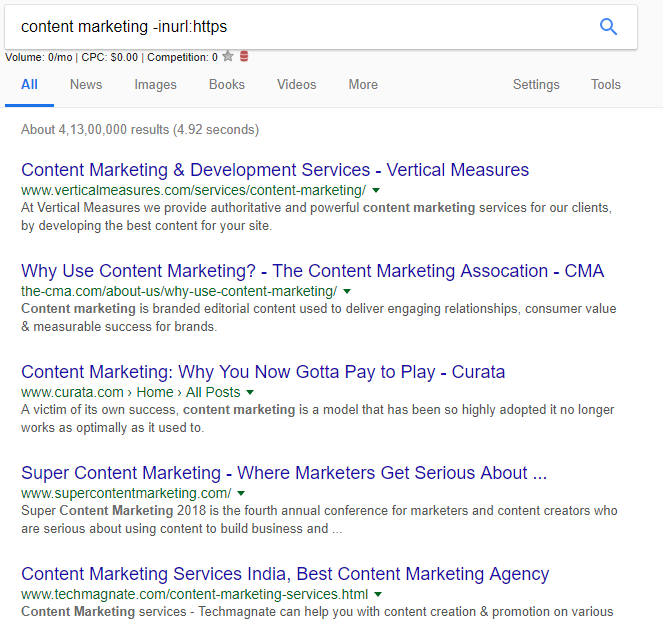 This is ultra-important for SEO professionals. 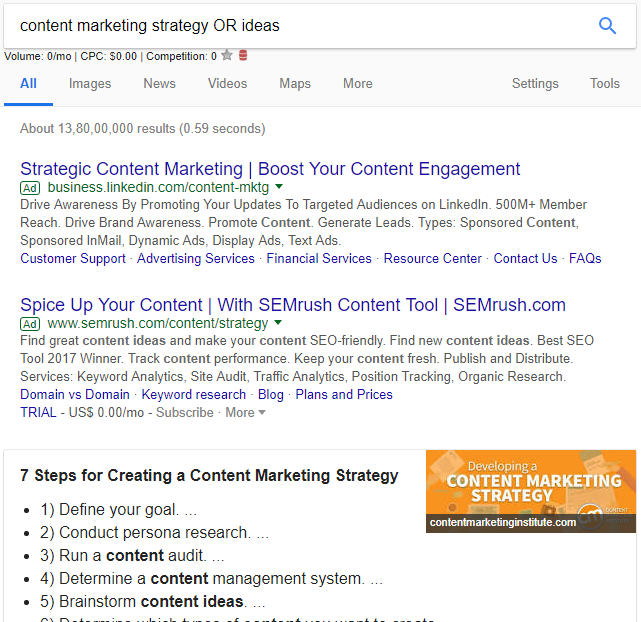 You might want to search for results with keywords in title, body text, URL or anchor texts. 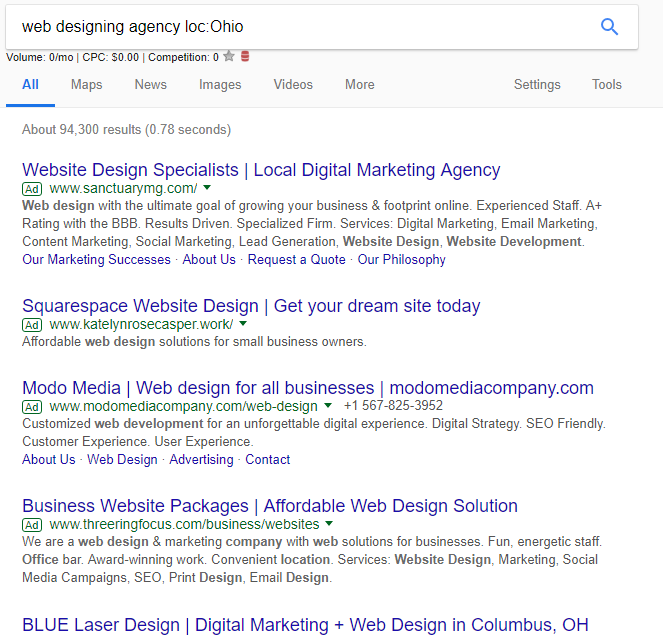 Let’s say, you want to find the best designing companies in Ohio. How would you do that? By using the [loc:] operator. You can use the same [-inurl:] operator to exclude the sub-domains of a site. It’s handy when you want to crawl through the sub-domains of a site. 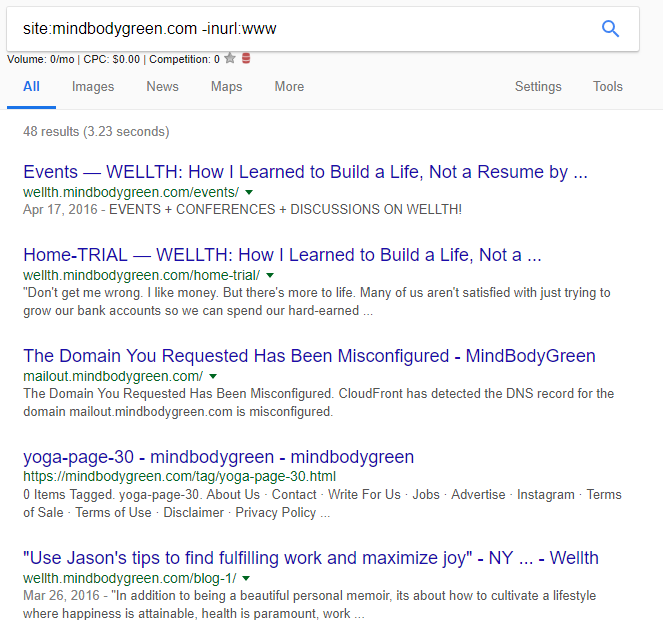 You can utilize the above tactic to filter out unsecure pages from the search results. How? 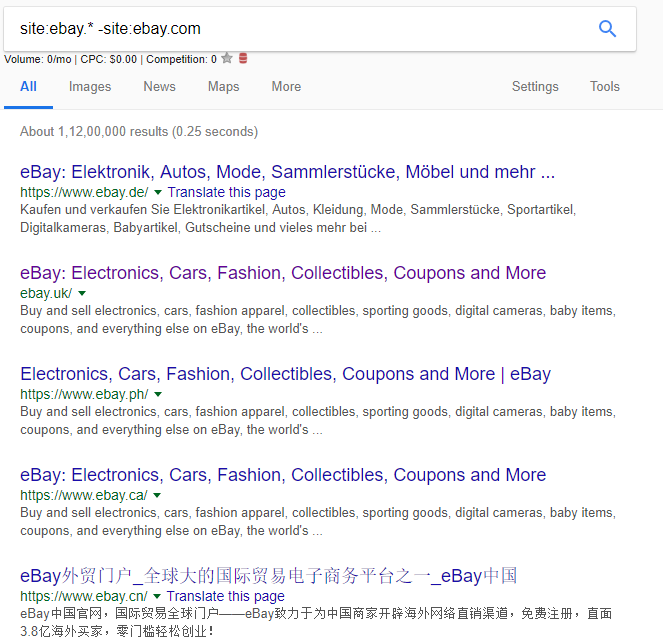 Just use [-inurl:https] along with any keyword that you are searching for. That should do the trick. Feeling lazy? 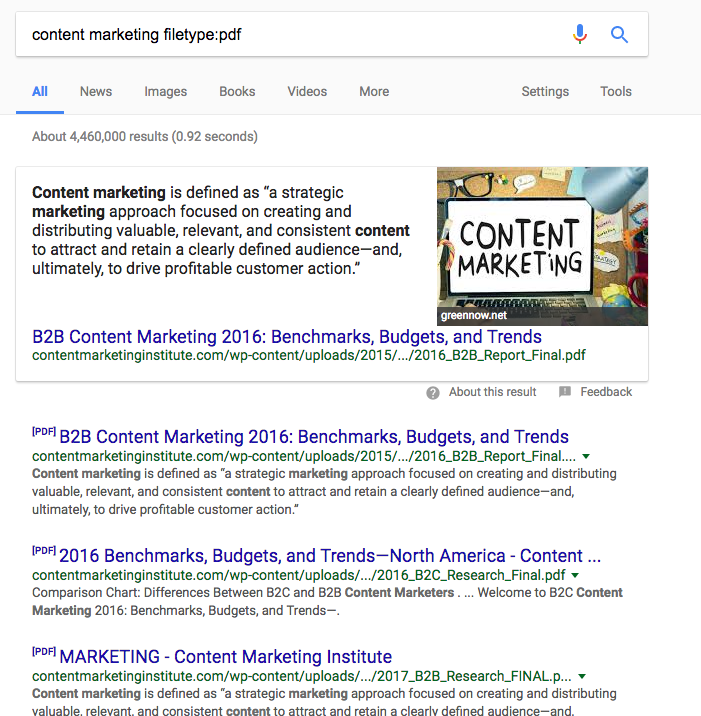 Looking for definitions right in the Google search results? Use the [define:] operator. Google finds the most relevant definition for you. Are you looking for infographic? Or perhaps, PDF files? Use the [filetype:] operator to exclude any other result that do not agree with your specific file type. These days, big websites buy multiple domain extensions at the same time. So, along with the quintessential .com domain, they go for other domain extensions too? So, how would you find the alternate TLDs of a site? If this sounds a little bit complicated, check the image below for a better understanding. Using Google properly is an art. Just like using a Swiss army knife, if you know what you are doing, you can probably accomplish some amazing things. But Google can only show you the results, remember. 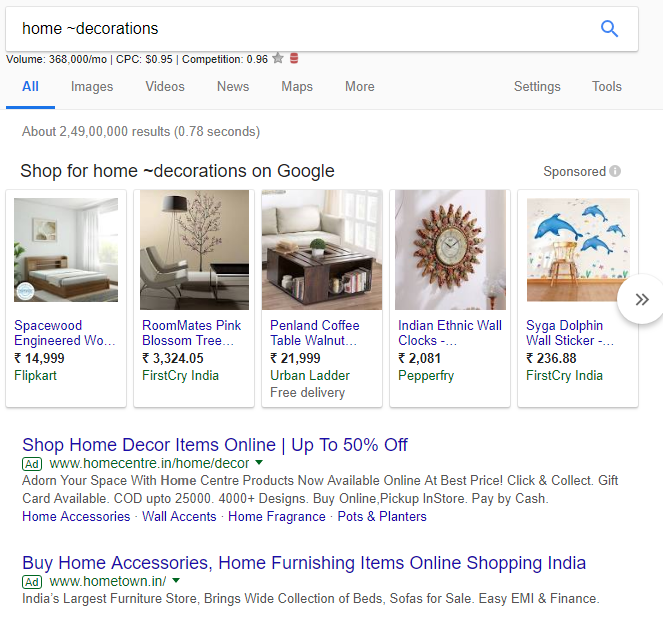 If you require organic details of a keyword, Google is helpless! In that case, you might want to try a free keyword tool like like KeywordRevealer. But anyway, after reading this article, you are now officially eligible to call yourself a ‘Google-r’.